Senator Cory Gardner, the Republican from Colorado, didn’t show up at a town-hall meeting Tuesday night at a Fort Collins church, so it fell to a teacher named Julie to answer for his position on environmental protection. Someone had stuck a sign on the pulpit with Gardner’s name on it. Julie, who wore dangling earrings and whose silver hair was cut in a pageboy, stood next to it and was in the middle of explaining the senator’s perspective—“He believes that supporting fossil-fuel production on federal land is essential for holding public office” (he’s said as much)—when the crowd started booing. Julie looked concerned for a moment, then shrugged and reminded the audience, “It’s not me!,” at which point the crowd started to laugh. No, she wasn’t Gardner. That was the whole point. 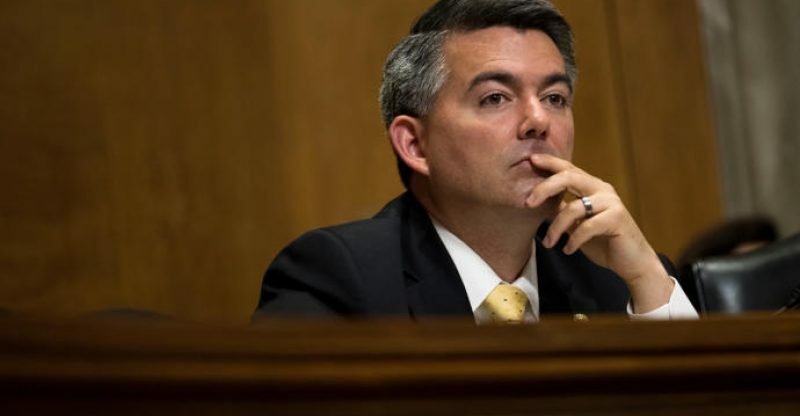 Gardner, having declined the opportunity to come to the meeting, was not there to explain himself, so his constituents were trying to do it for him. This event got rolling on January 30th, when Monica Lynn, a Fort Collins resident who was inspired by the Indivisible Guide, a progressive manual that sprung up in response to President Trump’s election, wrote to Gardner inviting him to a town-hall meeting, a fairly typical request for members of Congress when they return to their districts for the February recess. The event, she wrote, would encourage “orderly dialogue” as well as “civility and respect.” The letter did contain a passive note of aggression: “Many of your constituents feel powerless and that they are not being heard by you; nonetheless, we will seek to open up dialogue, not shut it down.” Lynn hand-delivered the letter to Gardner’s Fort Collins office. 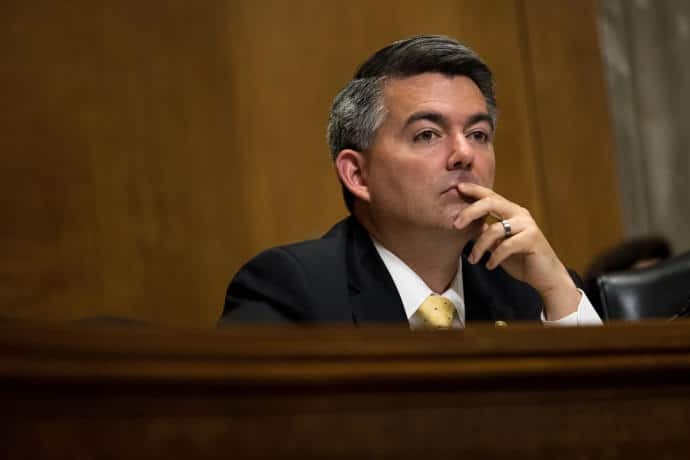 When a staffer told her, several days later, that Gardner wouldn’t be able to attend—that he might not even be in Colorado during the recess—Lynn and her co-organizers decided to go ahead without him, delivering the questions to the senator at some later date. They publicized the event online and got so many R.S.V.P.s that they had to start rejecting people, telling them to watch a live stream online instead. As the event approached, however, an agricultural forum in Denver listed Gardner as a speaker on February 22nd, and it became clear that he would, in fact, be in Colorado during the recess. The senator’s office didn’t respond to my requests for comment, but Alex Siciliano, a spokesman, told the Coloradoan that the senator had been spending the recess in meetings focussed on specific topics, such as encouraging small businesses and controlling health-care costs. He’d also rejected town-hall invitations in other cities. Protesters in Colorado Springs, south of Denver, had taken to posting fake missing-person signs, featuring a photo of a smiling, besuited Gardner, presumably taken in less contentious times. But it turns out you don’t need the politicians to perform the theatre. Tuesday night was unseasonably warm in Fort Collins, and fans turned overhead in the packed church. The attendees, many of them retirees, were dressed in flannels and T-shirts and jeans. Some of them held signs—“NOT MY SENATOR,” “REPRESENT US, NOT YOUR DONORS”—but for the most part it was, as advertised, a civil gathering. A volunteer would go up and read a question about this or that—Medicare, Medicaid, public schools, Russia, preëxisting medical conditions, emoluments—and then another would sidle up next to the pulpit and offer an approximation of how the senator might have answered their questions. The audience would gently boo, laugh at, or heckle the volunteer, in Gardner’s place. And then another volunteer would suggest talking points that attendees could use to counter the Gardner talking points—or, to be more precise, the presumed Gardner talking points. The volunteers each made sure to announce their professions, as a retort to the claim, levied by some members of Congress (including Gardner), that the people showing up at town-hall meetings or calling their offices were paid protesters. They included teachers, business consultants, a Ph.D. student, an accountant, a dietician, and several grandmothers who described themselves as either “nasty” or “pissed off.” Meanwhile, the pulpit itself remained unoccupied. It was a little like that skit at the 2012 Republican National Convention, when Clint Eastwood kept talking to an empty chair, pretending that it was President Barack Obama. But this performance was more successful, perhaps because the people gathered here, being non-actors, kept breaking the fourth wall and giggling at the ridiculousness of the event they’d staged, or perhaps because times have changed, and absurdity feels appropriate to the current historical moment. At one point, toward the end of the meeting, a photographer moved to the front of the room and tried to stir up a more conventional protest scene—“I want to see an angry crowd waving signs!”—and for a couple of seconds the audience obliged, but then they sat down and grew quiet again. There was no one to wave the signs at.